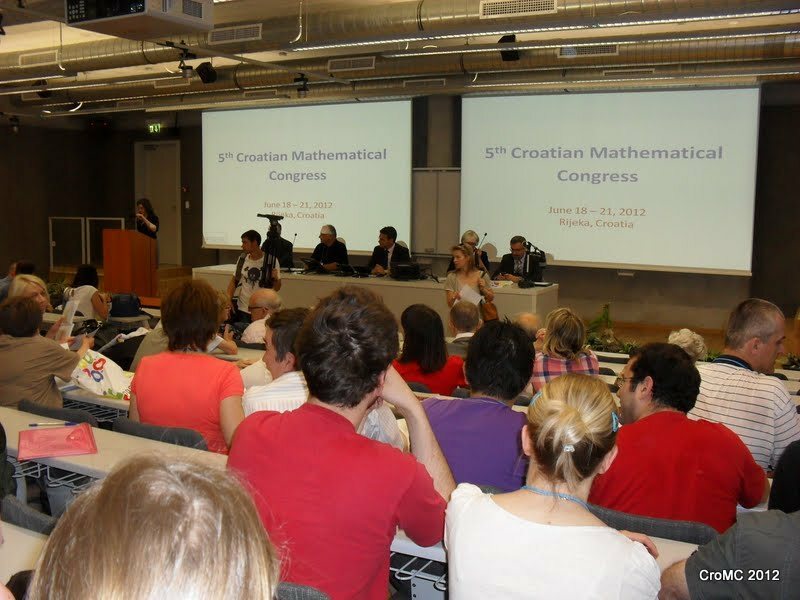 The organizers of the 5th Croatian Mathematical Congress were the Department of Mathematics of the University of Rijeka, Croatia, and Croatian Mathematical Society, under auspicies of the Ministry of Science, Education and Sports of the Republic of Croatia and the Primorsko-goranska County. 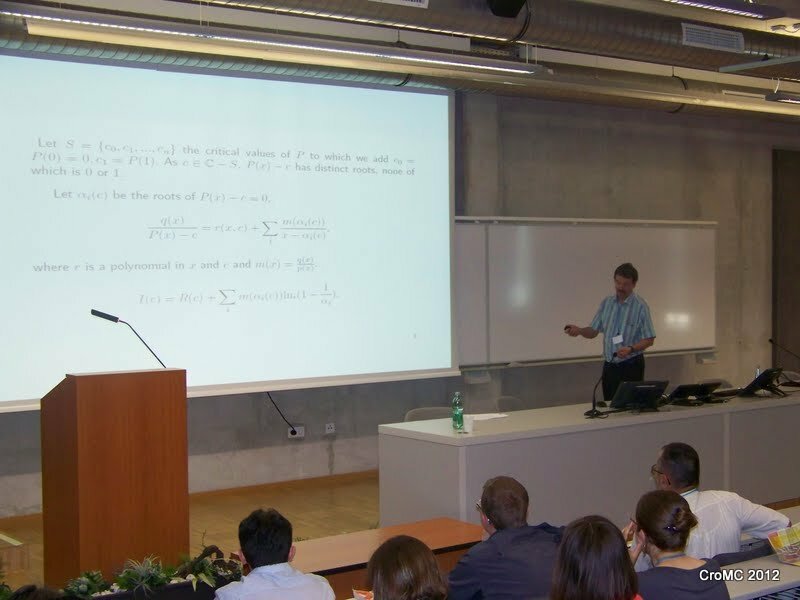 invited lecturer at the 5th Croatian Mathematical Congress. 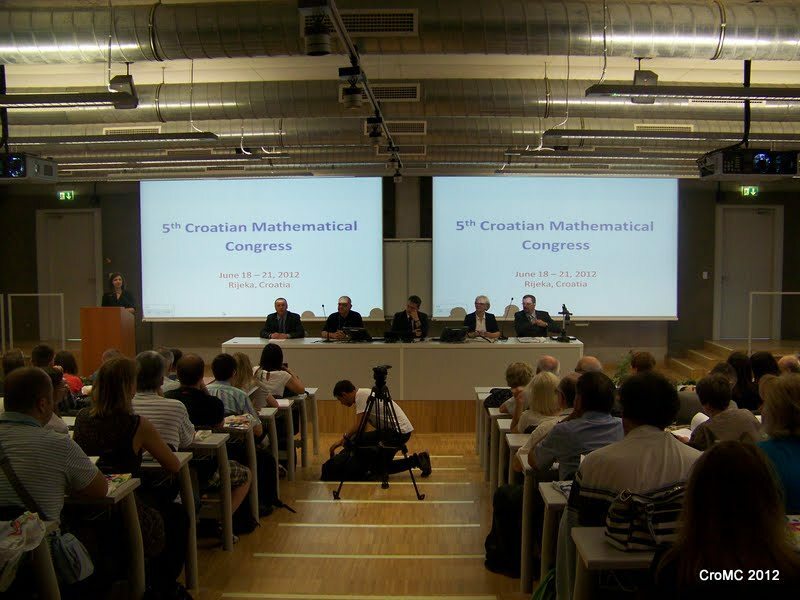 The CMS awards every four years the Award of Croatian Mathematical Society to young mathematician for research contribution in mathematics. 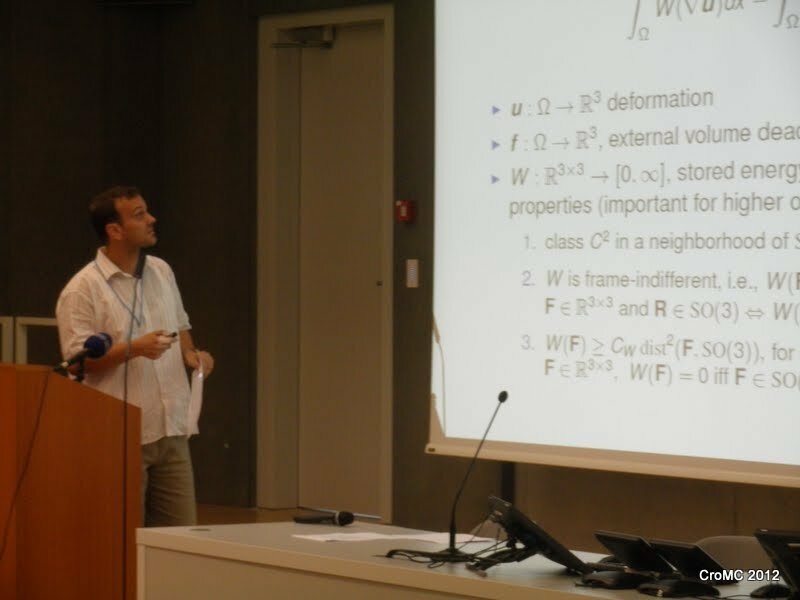 In 1996 Ivan Slapničar was awarded for his original and important contributions in relative perturbation theory for eigenvalues and singular values of matrices and the corresponding invariant spaces, and numerical analysis of highly accurate algorithms. In 2000 Andrej Dujella was awarded for his original and important contributions in finding new sets of Diophantine type, with applications on elliptic curves and number theory. 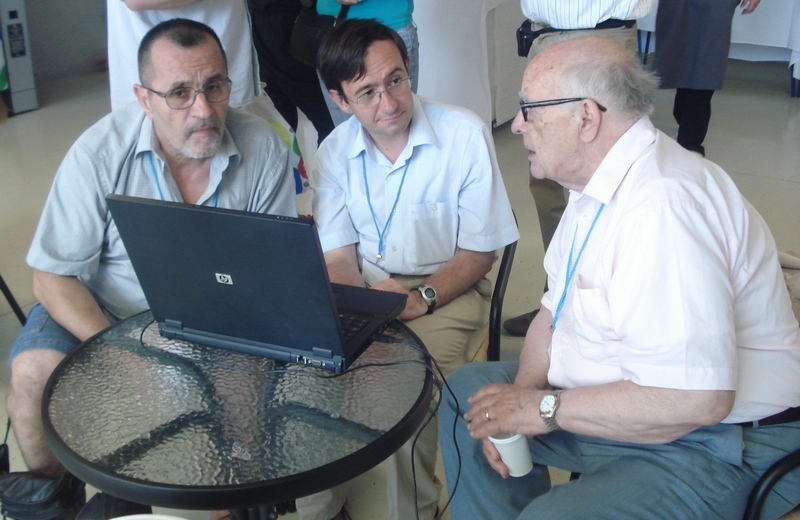 In 2004 Goran Muić was awarded for his original and important contributions in representation theory of p-adic groups, theory of local L-functions and generic representations, and theta correspondence with applications in the Langlands programme, automorphic forms, and number theory. 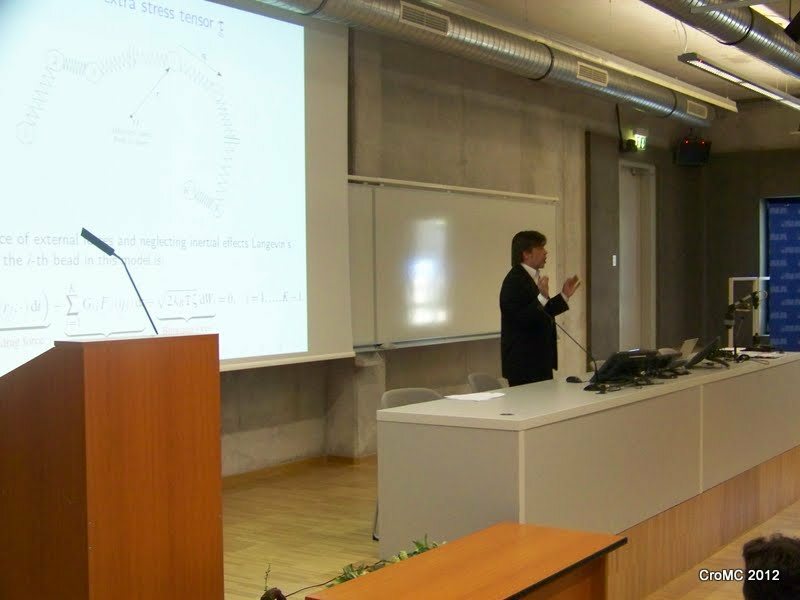 In 2008 Ozren Perše was awarded for his original and important contributions in representation theory of vertex algebras and infinite dimensional Lie algebras, with applications in tensor category theory and mathematical physics. 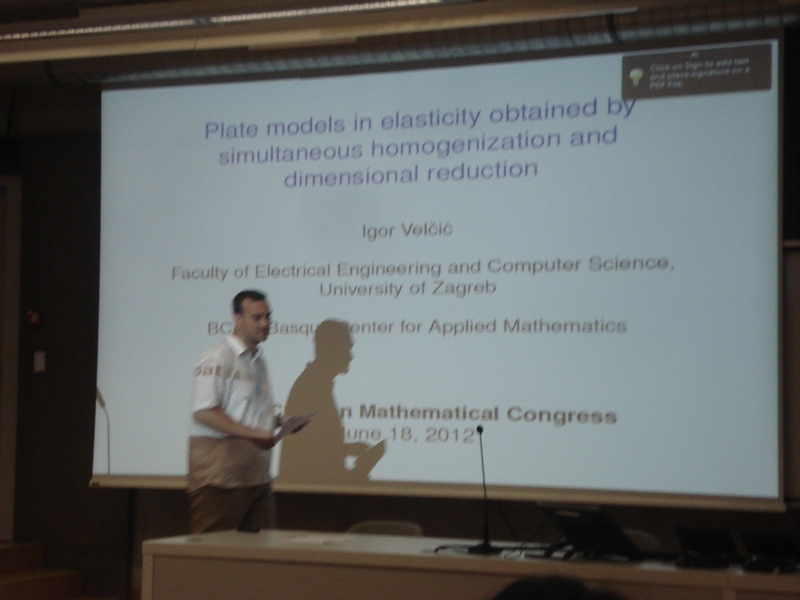 In 2012 Igor Velčić was awarded for his original important contributions to the theory of plate models in elasticity obtained by simultenous homogenization and dimensional reduction. 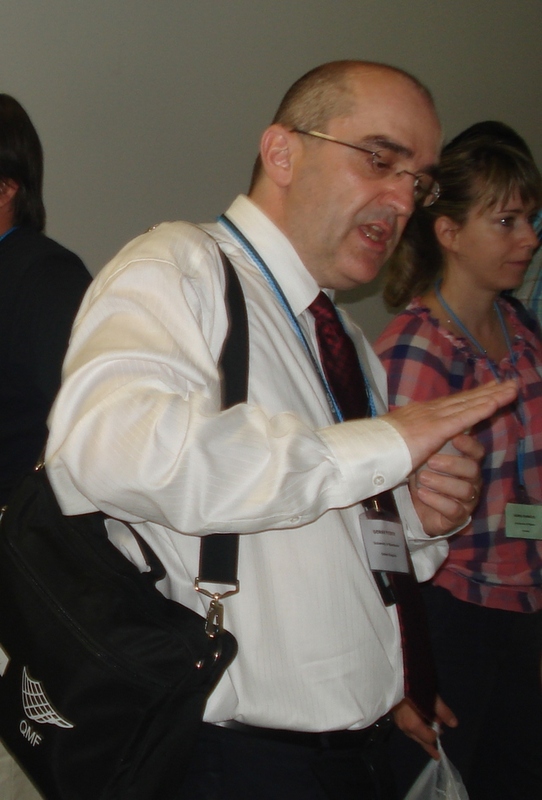 Dr. Igor Velčić, University of Zagreb, Faculty of Electrical Engineering and Computing. 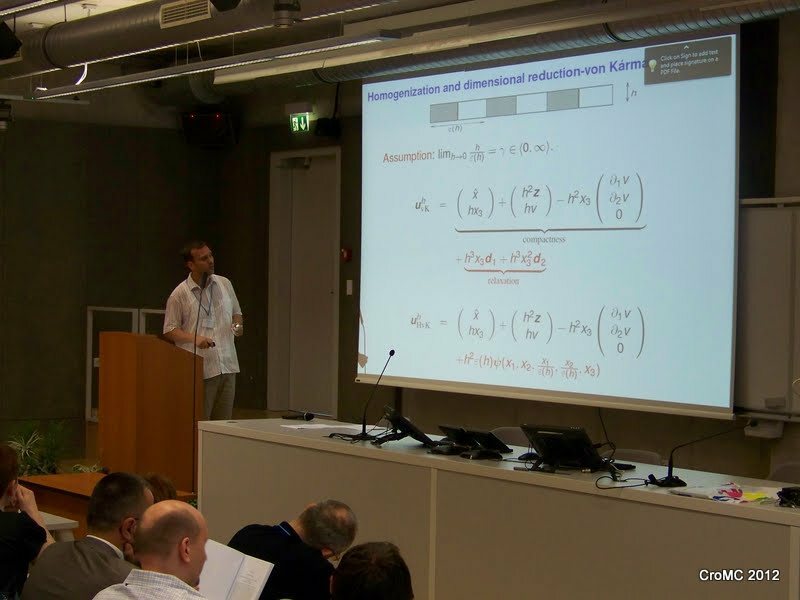 news in university and life-long education and licensing of mathematics teachers. processes working on current problems as well as educating others in terms of various courses. It rises a question of organizing such courses which are oriented to education of engineers, economists, computer experts and other highly educated persons. 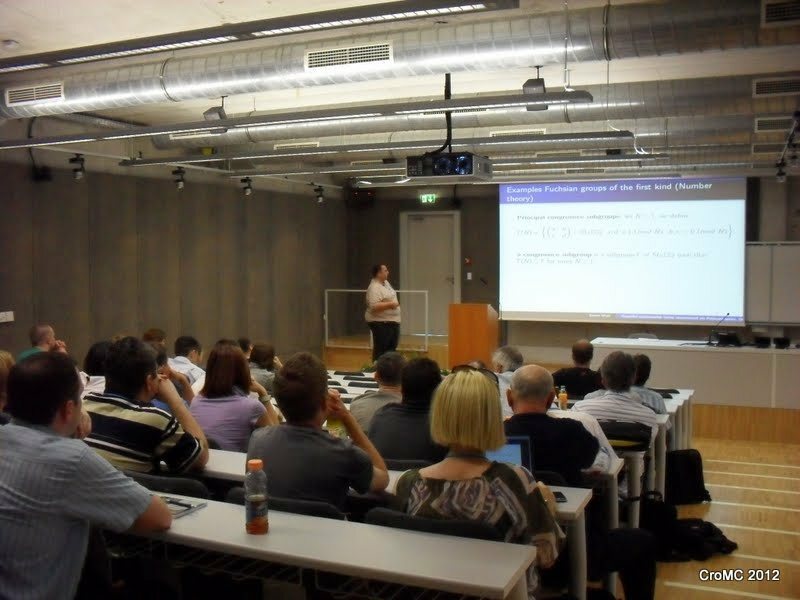 We will discuss about such courses for nonmathematicians at our universities as well as comparison to other universities abroad. 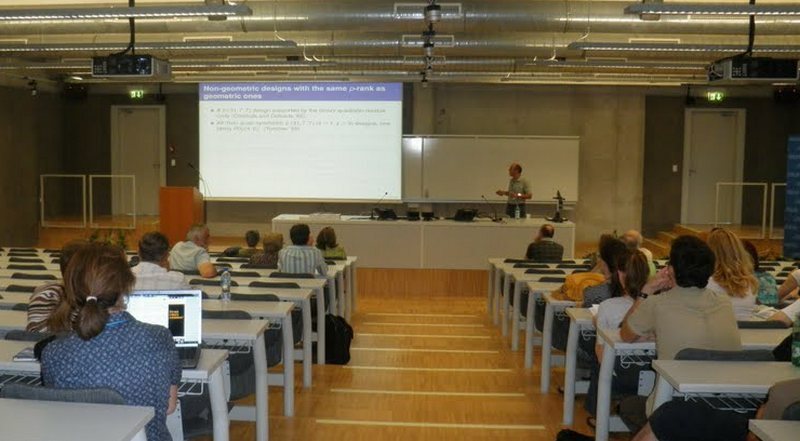 Teaching of mathematics in nonmathematical study can be improved by introducing adequate mathematical topics as well as using new techniques. Hence, we emphasize the e-learning of mathematics in high education. 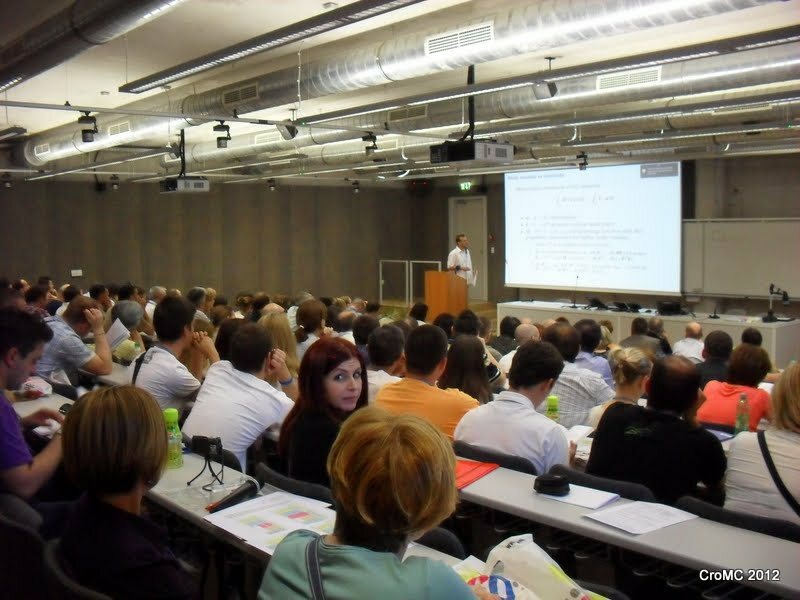 Recently, the level of e-learning in Croatia has significantly increased. Now, we have to reevaluate obtained results in e-learning in mathematics and determine the direction of the future development. 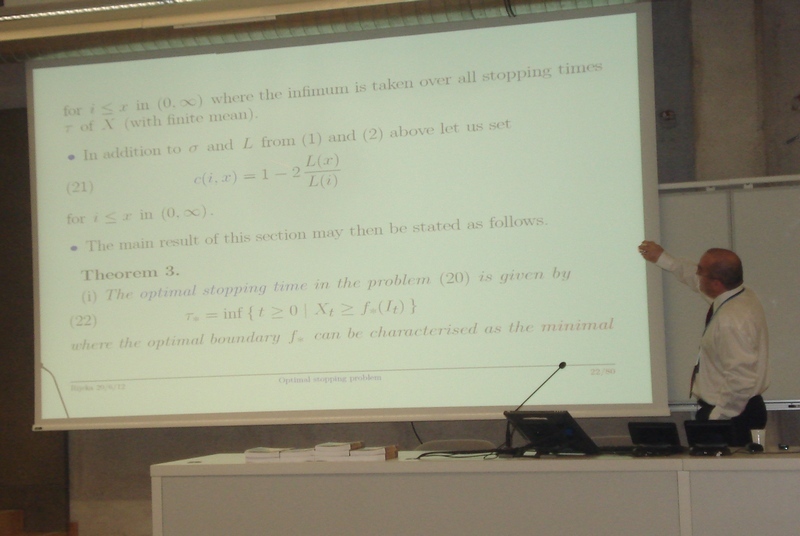 distinguished expert in Mathematical Logic, former student of Mathematics at the University of Zagreb. 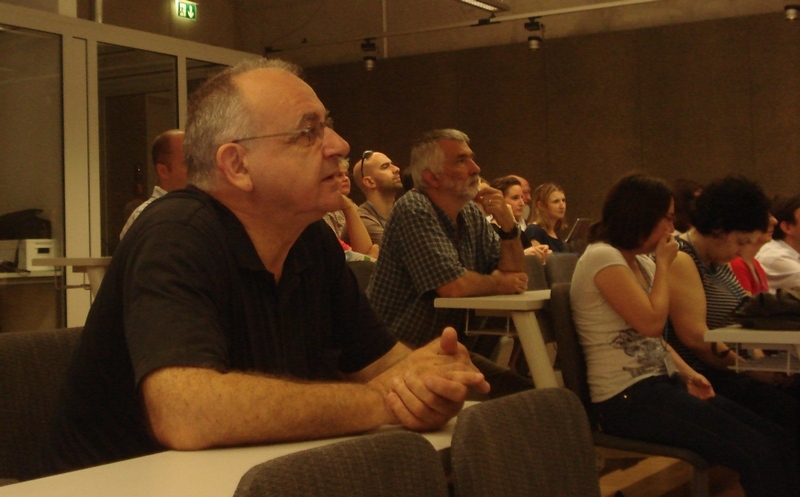 Professor Ščedrov is one of organizers of Logic in Computer Science conference in Dubrovnik 2012.
distinguished Croatian topologist, who celebrated his 85th brithday during the Conference. 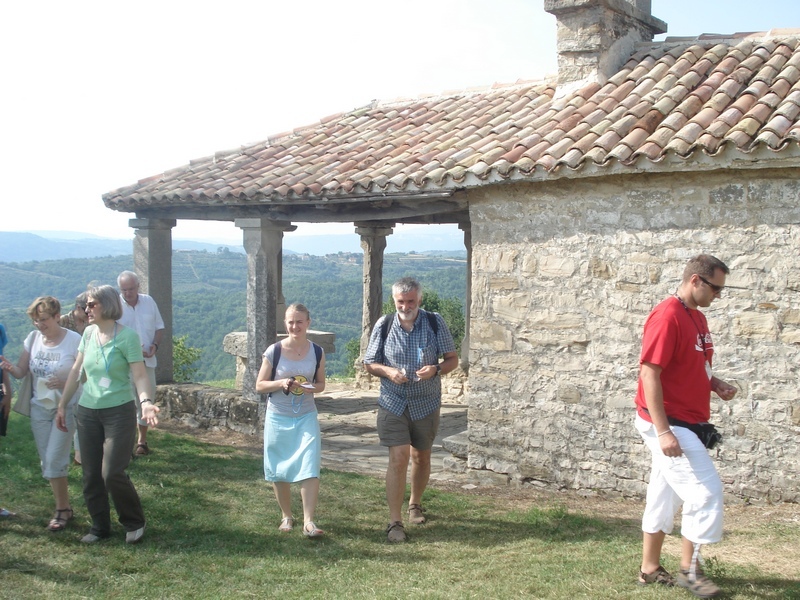 Professors Vesna Županović, University of Zagreb, and Jean-Pierre Françoise, Paris 6, France, in Volosko. 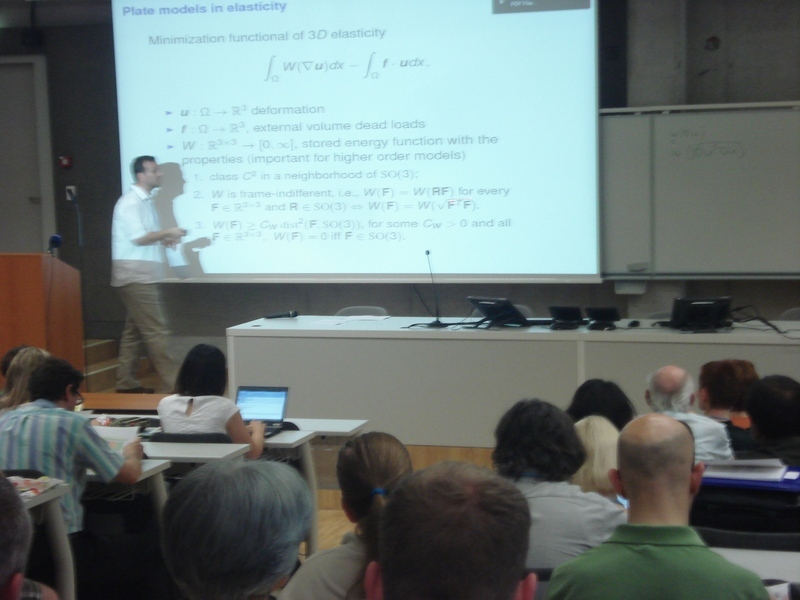 They are experts in the field of Dynamical Systems. 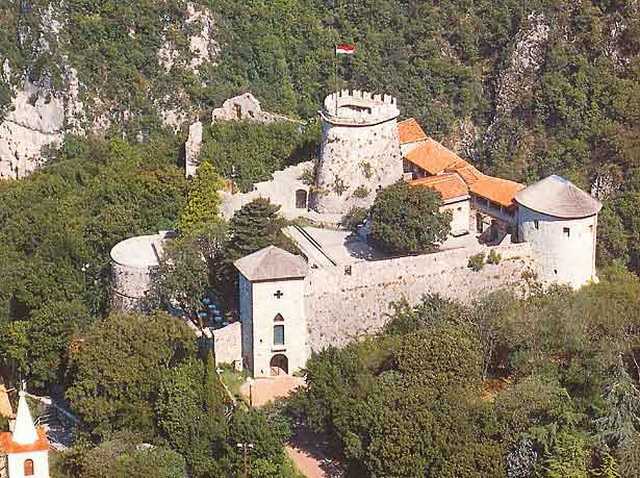 Excrusion to the town of Draguć in Istrian peninsula, near the church of St. Rok, richly decorated with mediaeval frescos. In the middle Ms Maja Resman, University of Zagreb, PhD student of Professor Pavao Mardešić on the right. 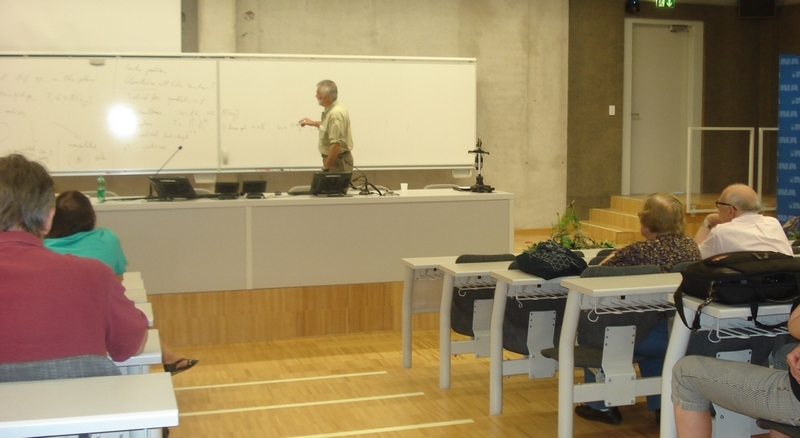 On the left Professors Anka Golemac and Tanja Vučičić, University of Split, behind them academician Marko Tadić from the University of Zagreb, distinguished Croatian expert in Representation Theory of Groups. 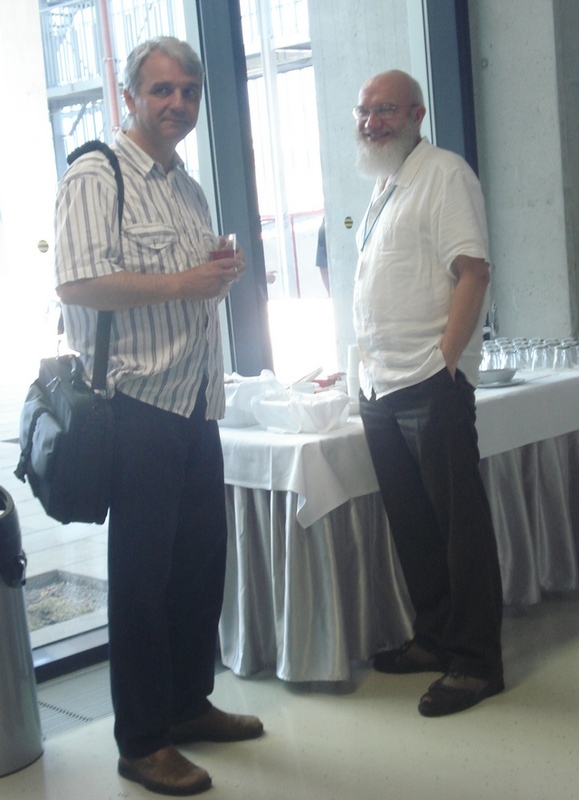 On the right Mr Ivan Lekić from the University of Split. 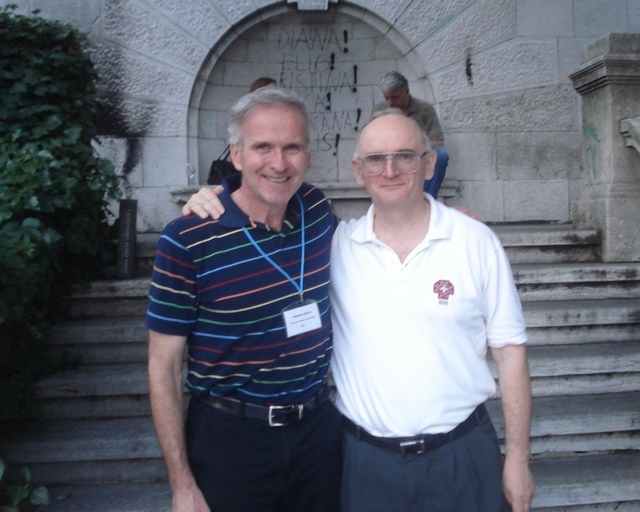 On the left Professor Andrej Dujella, since 2012 a member of Croatian Academy of Sciences and Arts, distinguished expert in Number Theory. And excellent singer. 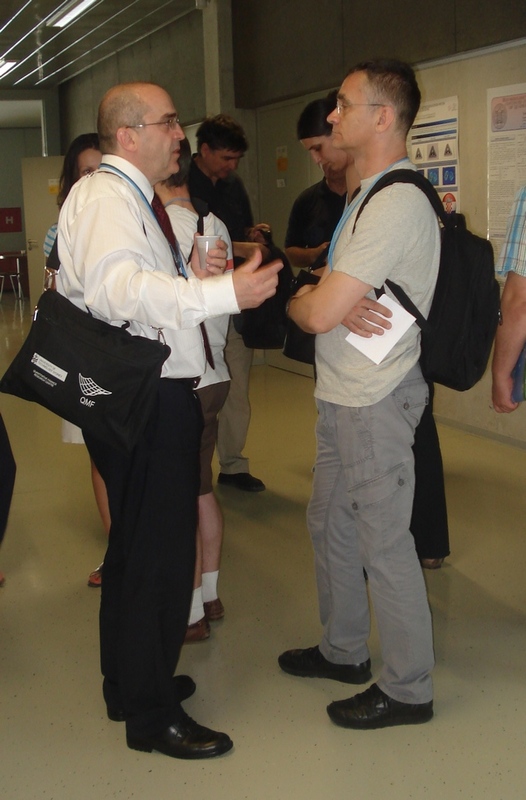 He is talking to Dr. Vera Tonić, who is working in the field of topology. On his left Professors Goran Lešaja, Georgia Southern University, USA, and Sonja Štimac, University of Zagreb, one of invited lecturers. Welcome to Fameja Staver (Staver Family) restaurant near the town of Žminj in Istrian peninsula. Dobro došli (Welcome) in Croatian Glagolitic Script, one of trade-marks of Croatian in Istria. 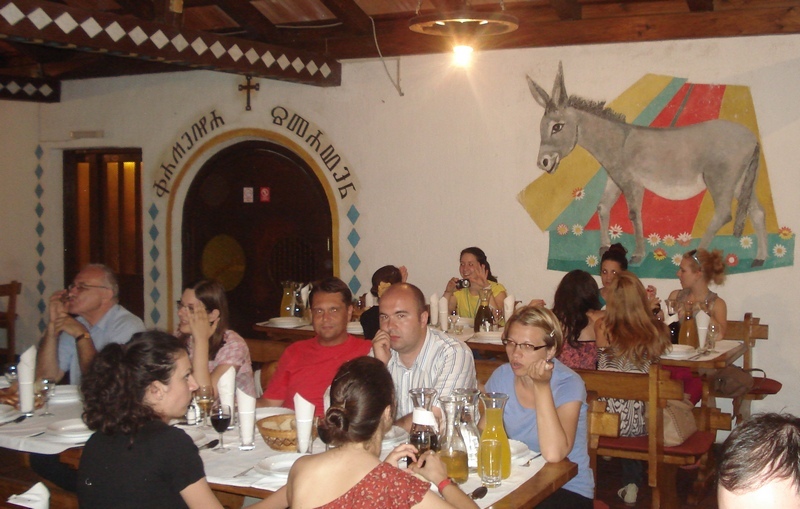 Gala dinner in Fameja Staver (Family of Staver) restaurant near Žminj in Istrian peninsula. 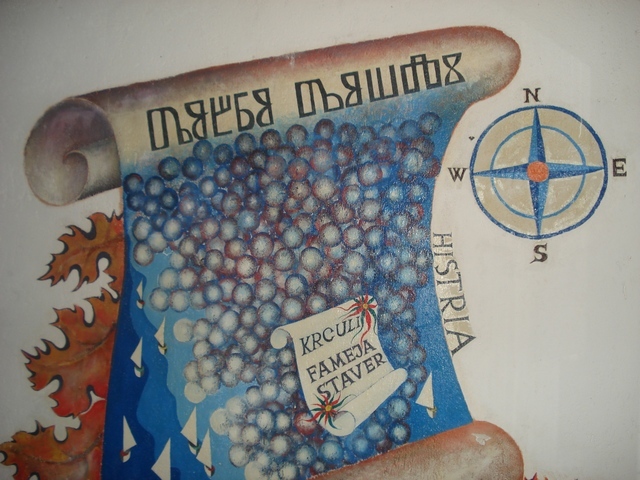 Above the door on the left is the name of Fameja Staver in Croatian Glagolitic Script. On the right a nice drawing of magarac. Most of the participants of the Congress have been lodged in a very nice Continental Hotel in the city of Rijeka, built in 1888. 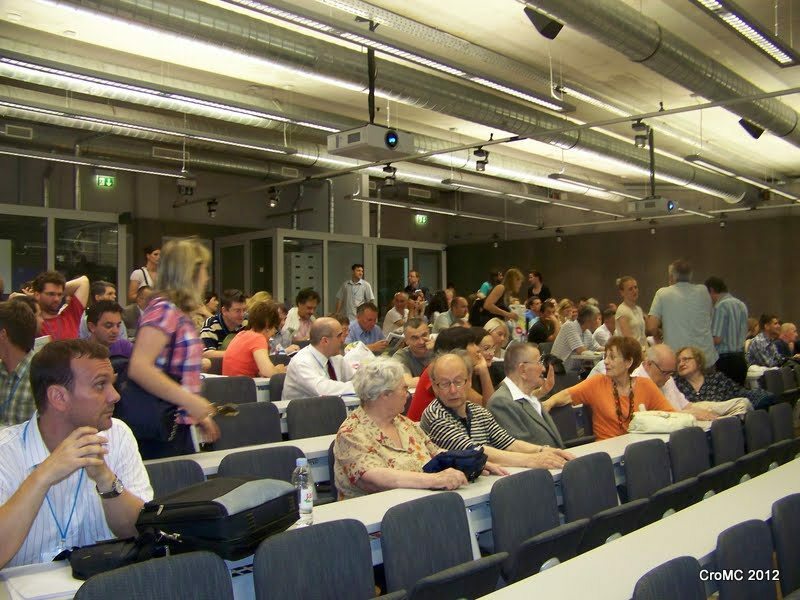 Members of the Department of Mathematics of the University of Rijeka, who were always at the disposal of participants of the Conference. 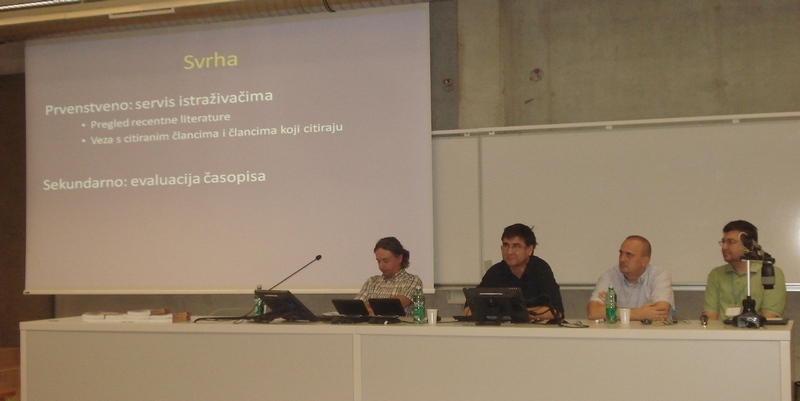 In the first row from left to right are Professors Dean Crnković, Sanja Rukavina, Nermina Mujaković, and dr. Danijel Krizmanić. In the second last row on the right is Dr. Neven Grbac, Assistant Professor. To all of them we owe our gratitude for excellent organization of the Conference.